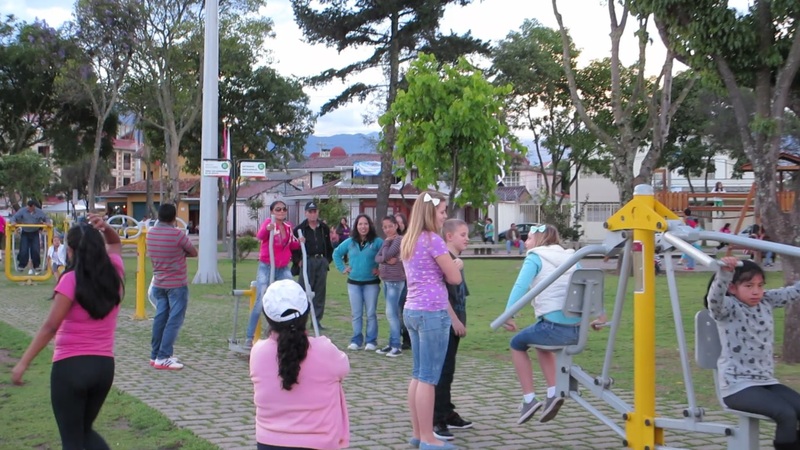 In Ecuador they have the best parks! There are ziplines, work out machines, race tracks, obstacle courses, and many other fun things. 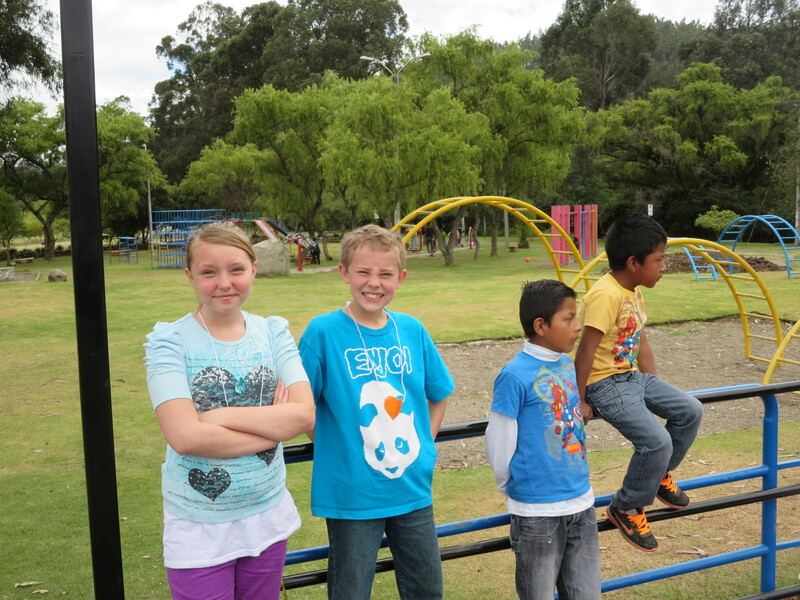 I especially like the park, Parque de la Madre (Park of the Mother) it has all the things I talked about and more. It was right by our first apartment, and we would go there almost every day. 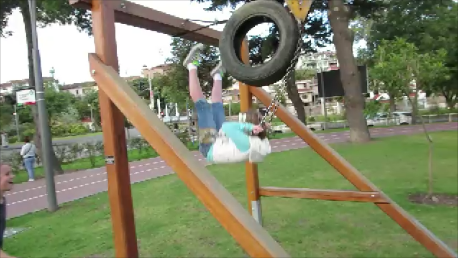 My favorite thing to do at the park is riding the zipline. It’s like a swing that rides down a long cable. It goes really fast and at the end there’s a tire that stops you and you flip up in the air. It’s scary, but fun! Once we get to the bottom, we lay on the swing like Superman and run back to the start. At the very end, our feet can’t touch the ground anymore and we try to grab onto the starting platform and pull ourselves back up. You have to run really fast if you want to make it! 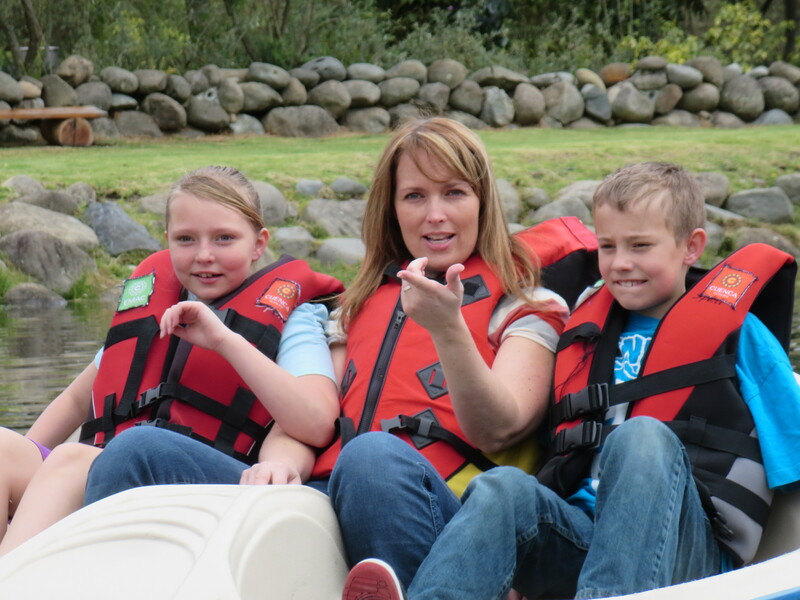 This past weekend we went to a new park called Parque Paraiso (Paradise Park). It’s huge! 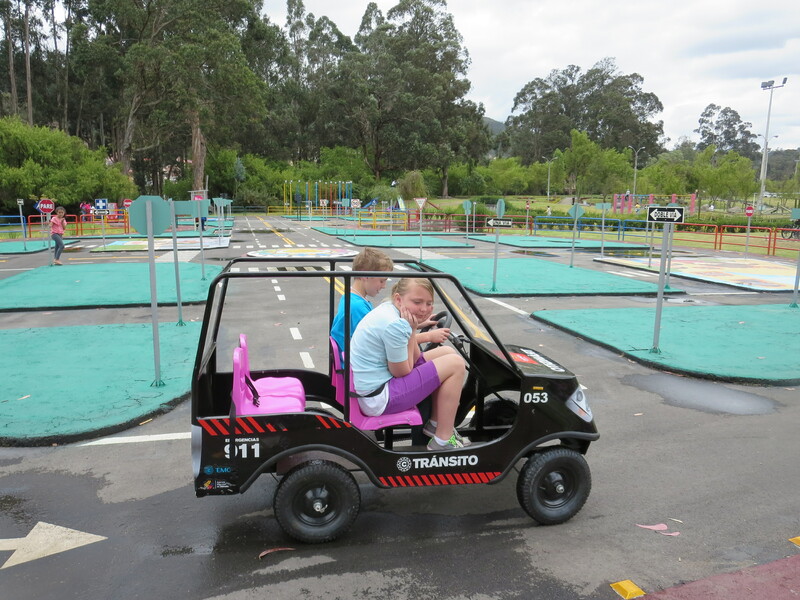 There’s a small lake with paddle boats that you can take out on the lake, lots of playground equipment, and a little “town” of roads where you can pedal miniature cars around just like you were in a real city. They even have bus stops! Even better, all of it is free! 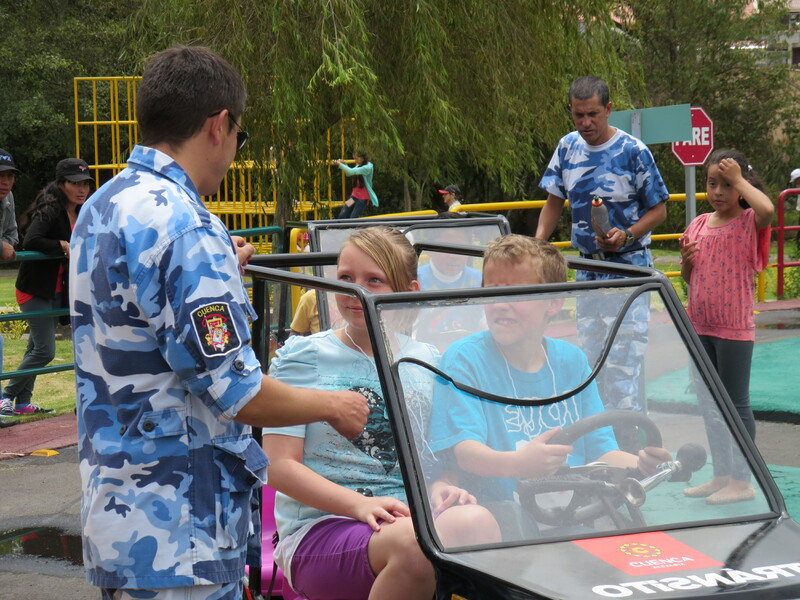 The kids getting a “ticket” for forgetting to put on their seatbelts. Ooops! You can spend hours playing and exploring. The parks here are awesome! Looks a little better than the zipline at the ranch. Good thing you had some practice. 🙂 We sure miss your family. Olivia’s birthday is coming up and she is sad you won’t be able to come. It is going to be a camping theme.